More and more, the amount of time that people dedicate toward work has increased while the amount they spend at home or pursuing personal interests has decreased. Canadian Social Trends published a study that found that “on average workers spent 45 minutes less with their family during workdays in 2005 than they did two decades earlier”. Many employees are also missing breaks, lunches and vacations. 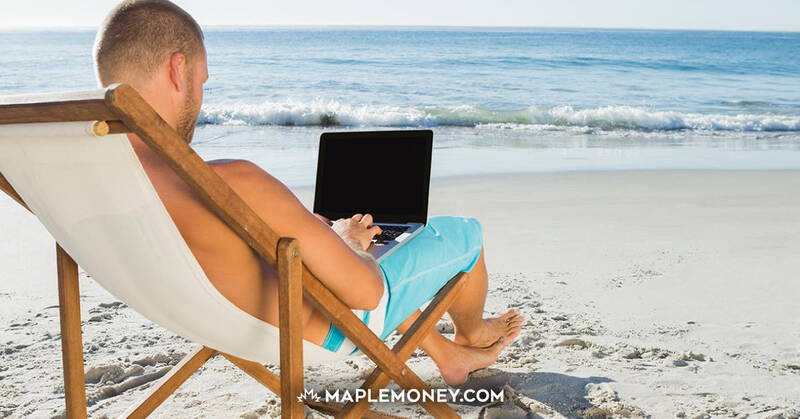 A Harris/Decima survey found that almost 25% of all Canadian workers do not take all of their annual vacation time, an estimated 34 million unused vacation days each year. Thankfully, there are steps you can take to reduce your stress and get back more of your time. Try to reduce your distractions at work. This will allow you to stay focused and increase the likelihood of getting everything done and leaving earlier than you currently are. Don’t work non-stop. If you do your productivity will decline more and more over time. While you may not have enough time for actual breaks or a full lunch hour, at least get up after an hour or two and move around for a few minutes. Go get some water or have a chat with someone. When you get back to work, you’ll have less stress, be more refreshed and will be better able to complete what you need to do on time. Use the vacation time owed to you throughout the year. This will not only give your more personal time, but you’ll also come back rejuvenated and with less stress. And finally… Have a Black Berry? Turn it off in the evenings to spend quality time with family or simply unwind with your favorite book or TV show. It can be difficult and these days more people want that balance. Try to get what you can done at work and be very good with time management knowing what you can do, and how long it takes. Always set time for your hobbies and life activities. Ah yes, the archetypal Work/Life balance question. Well put by the way, that is about the size of it. It seems to me that maybe the world economy is starting to wake up to the fact that ‘all work – no play’ will indeed make Jack a very dull boy indeed. If people are choosing to miss breaks, miss lunch, work overtime etc because of a culture of fear – perhaps it is a self fulfilling prophecy that eventually they feel they have no life? Not to minimize it, but people spend “only” 45 minutes less with their families than 20 years ago. I’m encouraged that it isn’t worse than that. I think most of us work more because we think, and maybe find we have to just to stay even with where we were. Plus, life has gotten so complicated. Technology hasn’t really helped simplify life, probably mostly the opposite. At home and at work we seem to spend more and more time nnavigating complexity. That’s also where a lot of the added stress comes into play as well. LOL have a black berry! Before, I used to work non-stop, now I finally change. Though not 100%, still I was able to at least find sometime to relax a little for myself. Would like to take a vacation soon just to feel good. I am blessed enough to have a job that allows me to leave at 4PM. Although there are a few times every month when I have to work overtime, those hours can be used to offset a time-off during the week.